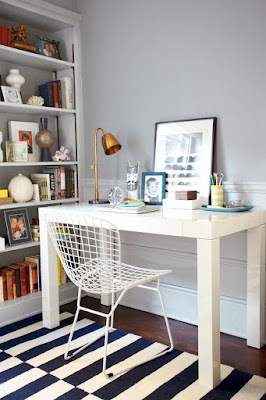 Guest Post: Tips for Styling a Chic Apartment on a Budget - emma and co. 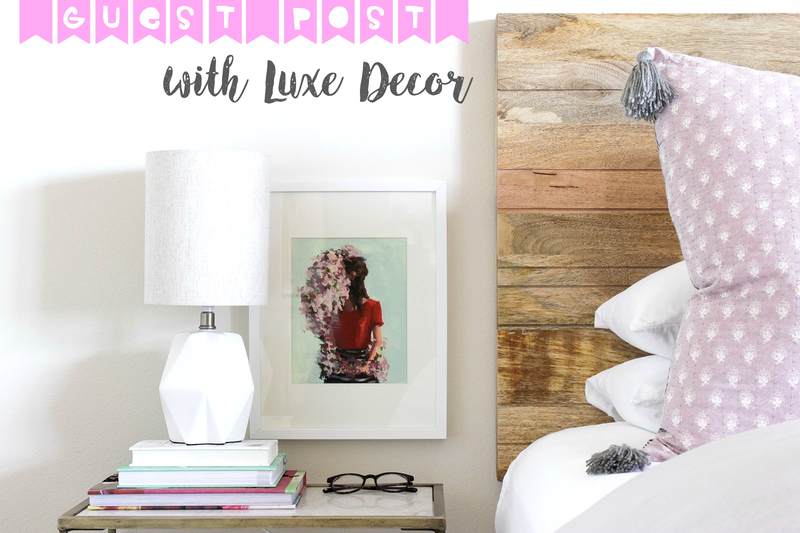 When LuxeDecor emailed me about writing a guest post, I knew that I wanted the topic to be about decorating an apartment. I know most of my friends are living in their first apartment or moving soon- hope these tips help and thanks Amy! Apartment life doesn’t have to be a sad sentence. For those residing in studios, single bed or multi-bedroom apartments, there are a variety of tips and tricks to create a chic space sans copious amounts of cash. 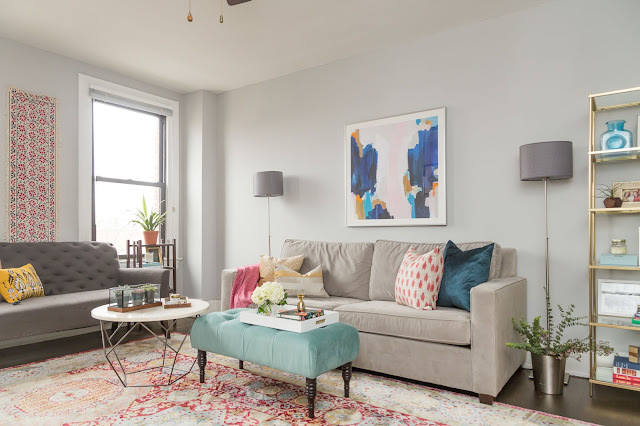 If you’re looking to design your first apartment or give your current crib a little overhaul, there are a variety of styling options. From a fuzzy ottoman to a plush rug to a wool throw, this apartment is filled with fun textures. Adding a variety of touchable trimmings to an apartment makes it seem more luxurious and playful. A few statement pieces like a shiny coffee table, gold lampshade and wall mirror give this space pretty pizzazz. A large drawing, blown-up photograph or colorful painting makes any small room feel grander. A modern cityscape makes this tiny dining room feel like a cool café. Artsy and vibrant, an accent wall is fresh with a large mural. While blowing monthly rent payments on vintage furniture and flea market treasures might seem tempting now and again, it’s ultimately not the best idea. For those looking to pump up the style in their apartment abodes, nothing is better than splurging on a few key pieces. A sparkling gold chandelier, a few fashion photographs and a pink dining table make this home feel like a trendy and livable museum. Unconventional colors, patterns and prints can make any small apartment feel more funky and friendly. A tufted pink couch, geometric rug and yellow ceramic lamp give this space heaps of character and charm. Mixing styles can be a great way to add a little eccentric elegance to a plain living area.